CRED (Research Centre for Aesthetics of Law) is working since 2011 – 2012 academic year, but has been formally established in 2012 with a resolution of Department of Historical, Juridical, Economical and Social Sciences (now Department of Law and Economics) with the partnership of Università Mediterranea di Reggio Calabria Law School. CRED plays the strategic role of the first research centre that directs all its tasks to the survey of aesthetics of law, issue as ancient as innovative for philosophy of law and juridical sciences. Trailblazing studies pointed out a connection between law and aesthetics, that now draws the attention of an increasing number of scientists, interested in aesthetic dimension of law and its structure. This interest is evidenced by the internationality of the CRED Scientific Board and by the involvement of academics and experts from many Italian and foreign universities in all scientific works of recent years. 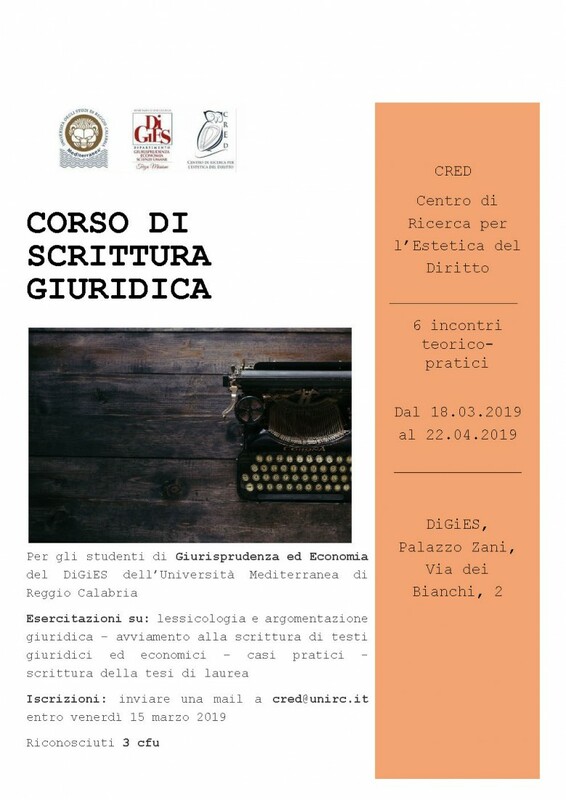 CRED aims to promote initiatives and researches, to acquire a specialized library, to print a series of essays and to facilitate international academic debate about aesthetics of law. To this end, CRED wants to be not only a mere research centre, but even a open place for scholars of all nationalities who want to examine in depth aesthetics of law. 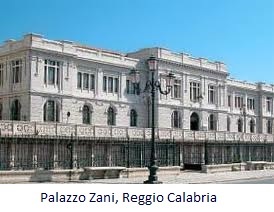 Established within the Department of Law and Economics, the CRED has its headquarters in the historic Palazzo Zani, a historical building of the twenties of 900, right in the center of the city of Reggio Calabria, where now is also located the Law School.